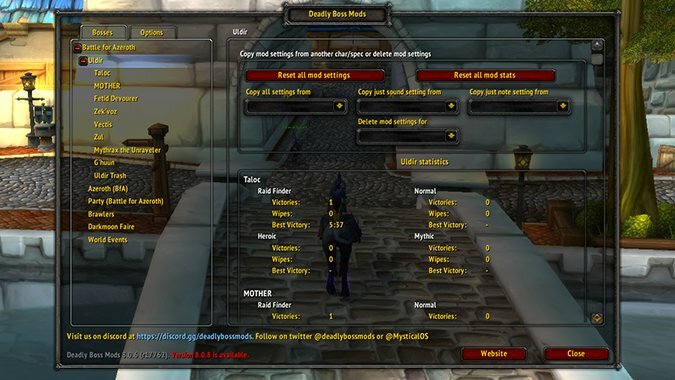 Adam Williams, the creator of Deadly Boss Mods, recently announced that he’ll retire from Mythic raiding in order to tend to his real-life obligations and issues, which would have an impact on the hugely popular addon. Williams asked for help, and the community answered with a huge influx of support on the developer’s Patreon. The result? Thanks to the tremendous support, he’ll now be able to balance his work and life in a much healthier way. Williams made the announcement post on the Deadly Boss Mods website on Sunday, which detailed how he was struggling to balance his life with addon development. The post then got shared to Reddit, where it blew up and rocketed his Patreon subscriber count up. There’s no specific numbers, but in later posts on Reddit, Williams said things like the oral surgery he needed are already covered. Williams is a good example of how it’s easy to forget that the free addons that we use are made by people and, even if it seems like there’s no challenge to making them, we never know the whole story. Passion is great — but it doesn’t keep you alive. It’s good to remember to support people like Williams that make things you use every day. Imagine all of the Mythic world firsts in the last week that might not have happened without Deadly Boss Mods. Everyone uses it, and it’s great to hear that it’ll be here to stay and without harming the life of its creator.